In the past decade, economic and political relations among China and African countries have tightened. This is due to a remarkable increase in Foreign Direct Investments (FDIs) from China to Africa, which will provide both parties with substantial benefits. There are three main reasons for China to invest in Africa. Firstly, China wants to make sure it has a solid base of raw materials to fuel its own economy. In fact, 90% of the world’s platinum and cobalt, half of the world's gold, two-thirds of world manganese and 35% of the world's uranium are located within African borders, thus representing an attractive target for Chinese FDIs. Secondly, China aims at increasing its global political influence. By grating loans to African countries to build infrastructures locally, China is ensuring itself a word in the country receiver of the FDI. Perhaps, Kenya is a good example, where the newly built Nairobi-Mombasa railway ensured the re-election of the President under whose mandate the infrastructure was built. Thirdly, China sees Africa as a place for future growth opportunity for emerging markets. China itself is largely involved in the development of emerging markets and it predicts that there will be space for profitable emerging industries in a ‘developed Africa’. Currently, mining and oil remain the primary focus of China's investments. Yet, these raw materials markets affect a wide range of other industries, from infrastructure to food processing. Mining investments especially account for almost one-third of China's total FDIs! It must be said that many Chinese companies investing in Africa are mostly state-owned, hence easily and abundantly supplied with government subsidies. This has often been crucial when competing for procurement contracts. Yet, not all investments made so far have been successful. Some say that the fast pace at which China grants loans to African countries and with which it builds infrastructure can be damaging for the FDI receiver. In fact, locals can take time to adapt to the new infrastructure; initial returns to the investment may be poor and slow. The Nairobi-Mombasa railway can serve again as an example. Other times, new investments require local sovereign agreements or local government support. Problems can arise if government’s instability and corruption are widespread. Thus, new Chinese foreign investors are now cooperating more with private companies, rather than governments or political organisations. Overall, China has been investing in Africa since the 1960s. Today, nearly half of China's foreign aid goes towards Africa. 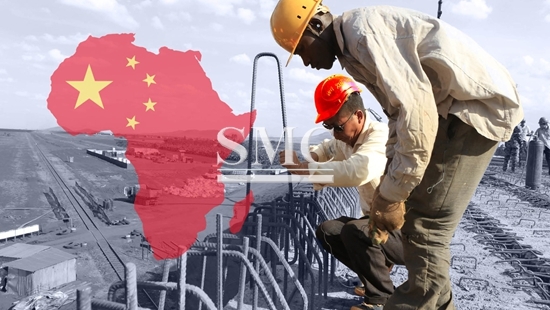 Trade between China and Africa is only expected to grow further and at Shanghai Metal Corporation we are proud to be part of this evolving economic relation. For more information on our company’s products and future projects, please click here.